Alan Pardew – The Nearly Man? So Alan Pardew has been awarded with an 8 year contract. A fitting reward for last season’s performances and ultimate European qualification. Or alternatively for being a yes man, unwilling to rock the boardroom boat no matter what. At this point I will, no doubt, have incensed the sad defenders of the faith; my thoughts derided as the rantings of a madman. Pardew’s stock has risen and deservedly so. He assumed control and was given a vision of the future; a vision mirroring that of Arsenal, where young talented continentals could be brought in cheaper than their Premiership counterparts, hopefully perform without the millstone of expectation, thus creating an arts academy. Graham Carr’s contribution has, as we know, been integral to the plan, a stunning visionary we are lucky to employ. Unfortunately and perversely, the up/downside of last season’s exertions has seen us qualify for the much maligned Europa League. A marathon of a competition that is fundamentally flawed, with its hectic league set-up followed by the inclusion of the Champions League ‘losers’. It’s a competition that needs a club’s best players, if not for the full 90 minutes, then at least for a 30 minute cameo, where the gifts of a Ben Arfa/ Cabaye/Ba, could prove the difference, especially when the strikers are showing the profligacy of Maritimo away. However, to leave them behind at Darsley Park beggared belief. Then the League Cup trip to Old Trafford looms and with Fergie’s history of blooding youngsters in this competition I sensed an unlikely victory was possible. Yet the exclusion of Ba, Cabaye and Ben Arfa beggared belief. A winnable competition, a route back into Europe and a shiny silver pot compromised by the baffling tactics of a man who saw fit to omit the likes of Ben Arfa from the travelling party. So when the teams were read out and Fergie realised his 2 rookie centre halves would only have to deal with Shola and Vuckic, Cisse at worst, he must have been mightily relieved. Forgive my ignorance or applaud my common sense, but why enter winnable competitions without at least having your best players on the bench. Moreover the sad delusion Pardew appears to be labouring under is that our squad players are good enough. 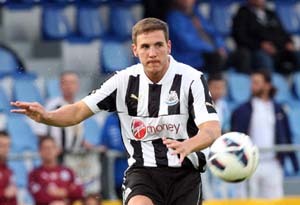 Let’s be clear now; Gosling, Obertan, Marveaux, Vuckic are third rate, and don’t get me started about Sammy. Pardew’s post -match ramblings were as predictable as they were frustrating. Echoing other games where we showed guts and praising the players’ application. Another nearly night presided over by a nearly man. We are not going to win the league, so surely other competitions must be given more priority, or is the foreboding spectre of Birmingham City’s cup success/relegation stalking Pardew/Llambias/Ashley like a ghost of seasons past. If so, the strengthening of the squad should have been undertaken in the summer, yet it was not. Instead we were bizarrely told by our manager after the transfer window was slammed shut, that we as fans should be thanking Mike for not selling any of our top players! 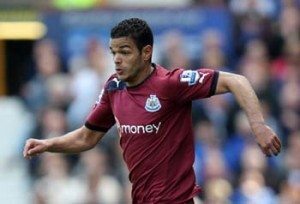 Another worry is Pardew’s handling of Ben Arfa. He reminds me so much of a young Beardsley, yet with more guile, however his talent warrants more than him stuck in a routine 4-4-2. Yet it’s plain to see Pardew struggles to make the most of his playmaker. He thrives running at defenders, yet for long periods he doesn’t see the ball. Baffling. His skills are no doubt being monitored by the big boys, so we probably won’t be watching him in black and white for much longer, so the more time he’s on the ball the better for me. Contracts in football mean very little these days, long ones seem to indicate settled times and happy employers and employees. So let’s be content with an occasional foray into Europe, and not rocking that boat, eh? Sign up to BetVictor and get a £25 free matched bet, use it for the cracking odds on Newcastle’s trip to Reading this weekend.